The blended family is a common family structure in this present day. According to The Stepfamily Foundation, there is an estimated 1,300 stepfamilies forming every day and over 50% of US households are remarried couples. While this structure creates a unique dynamic in your romantic relationship, it also challenges your bonding with your spouse and your stepchildren. If you’re an interracial couple, this complexity is tenfold due to different cultural values and even ethnic preferences held by you and your spouse. One of the biggest challenges stepparents and stepchildren experience is dealing with the ambivalent feeling towards setting clear boundaries for the new family. If you have a confused look on your face after hearing this phrase, rest assured that you’re not the only one who has this reaction. I’ve got the same look multiple times in family therapy. So, What Causes Ambivalence in a Stepfamily? 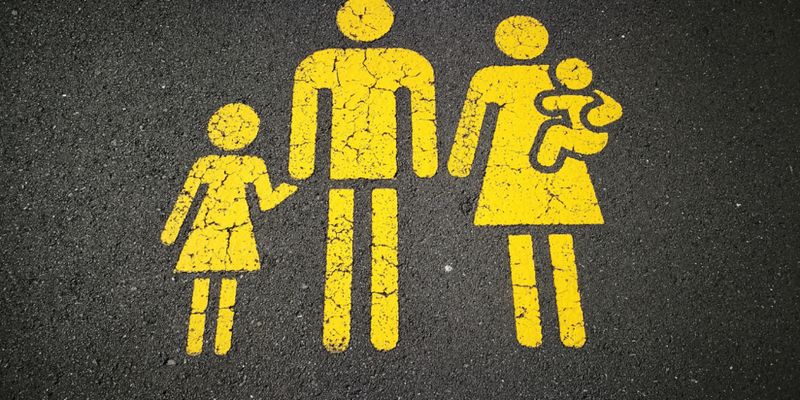 It is the uncertainty that family members, especially stepchildren, experience due to not knowing who should be included or excluded in the new family structure. This type of boundary setting is not clear cut because it is not defined by household arrangement or biological relationship. It is the view family members have about their relationships with others in the stepfamily. Where Does This Ambivalent Feeling Come From? 1. It’s from the lack of preparation for the merging of two existing families. Couples who decide to build a stepfamily together are often, although not always, divorced couples, remarried individuals, single parents, or living-together partners with children from previous relationships. Let’s say you’re two single parents who decide to live together and each have your own kids. The stepfamily dynamic often causes confusion as the addition of new members can be overwhelming when the merging is improperly introduced such as when it happens too fast or too sudden. 2. It is the meaning family members make of the event that affects the success of the new family system. - Who makes up our family now? - What is your current relationship with your exes? To what extent is this relationship okay vs. not okay for the health of the new family? - How should the siblings relate and interact with each other? - What does the shared parenting responsibilities look like for you and your spouse and for you and your exes? - Who performs what roles now? - Who is included or excluded in the family events (wedding, graduations, holidays, etc.? What you find may not always be what you expect. Nonetheless, don’t ignore the elephant in the room. Communication is important to the success of your family. 3. The ambivalence in a stepfamily can be a result of adjustment stress due to loss of the origin family. Children are not the only ones who suffer from the uncertainty of deciding who is in and out of the family. You and your spouse are too. When you are a remarried couple and you share parenting responsibilities with your exes, it is easy for your current spouse to feel left out when their input in parenting is ignored just because they’re not the biological parent of your children. It is also tough for them to build a bond with your children when the children are still grieving the loss of their origin family. As I said earlier, the most difficult step in accepting and being okay with this ambivalent feeling is to make sense of it. This is a tough transition because accepting that “I’m a part of the new family now” can stir up internal conflicts regarding one’s loyalty. Talk to your children and spouse about what it means to be loyal to their other parents and siblings while still being able to accept the additional members. Ask them what they need from you, as the caregiver, to help them feel okay about having two families at the same time so they can adapt to the new adjustment. Sometimes, it is challenging for children to make sense of “who is really there for me” or “who is my real family” when the parent they live with is physically present with them but is unavailable to meet their emotional needs. Raising a stepfamily is not easy because there are more family members and responsibilities that require your utmost attention. You want to be the best parent you can, but you feel exhausted and overwhelmed by demands coming in from different directions. So, sometimes, it’s difficult for you to tune in when your children need you. I get it, but do your children get it? If you’re unsure, start a conversation with them now. I don’t know what you may find, but it can be the bridge that fills the gap in your relationship with them.